Professor Manuel Piña teaches a group of students. 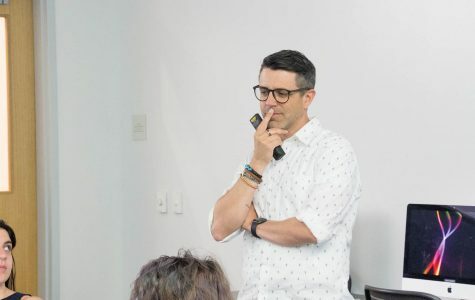 Piña believes sharing stories and elements from his personal life with students helps facilitate their education. 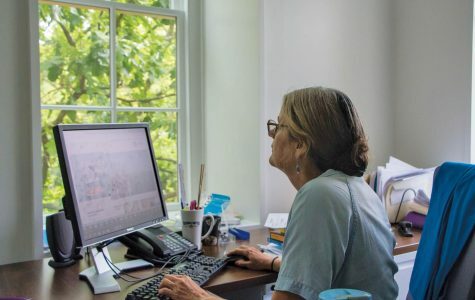 Faunes says more students come in to her office later in the semester. “When you’ve broken down the barriers, at the end of the semester, you’ll have more people coming in,” Faunes said. 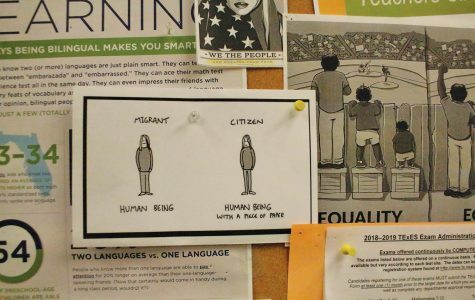 Dr. Hernandez, a mentor to a number of students of color on campus, places a political cartoon outside her office to show support for undocumented students. Hernandez contributes to the food insecurity fund created by Monarchs on the Hilltop and Dr. Glenda Ballard. The Health and Counseling Center is located next to Johnson Hall, near Hunt and Le Mans. 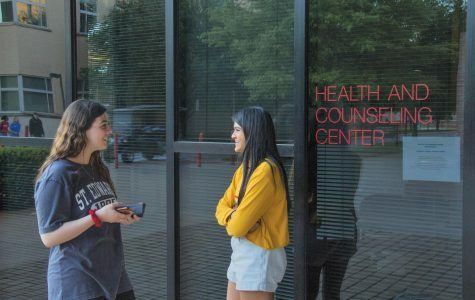 The HCC offers different plans for students who seek counseling services, from short-term counseling to group therapy sessions.